The wide variation of materials and dimensions used in the food canning industry present challenges for the manufacturing process. The Ferrum F408, F410 and F412 high, medium, and slow speed machines seam at speeds of up to 1200 cans per minute and are equally well-suited for manufacturing cans. 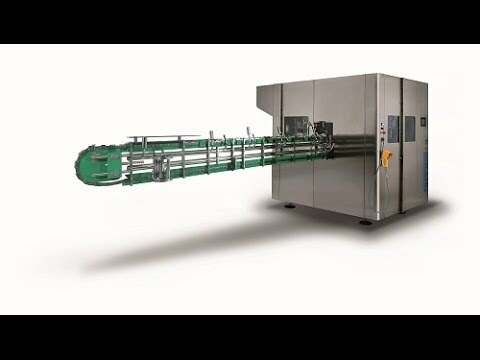 They can be configured for 8, 10 and 12 seaming stations, with speed ranges from 200 to 1200 cans/minute, ie. mid to high-range capacities. Incorporating Ferrum’s Easy Rider seaming technology together with an automatic and loss-free oil lubrication system, non-stop 24 hour operation is attainable. Ferrum Canning Technology is a worldwide leader in the production of can seamers for the beverage, food and can making industries.